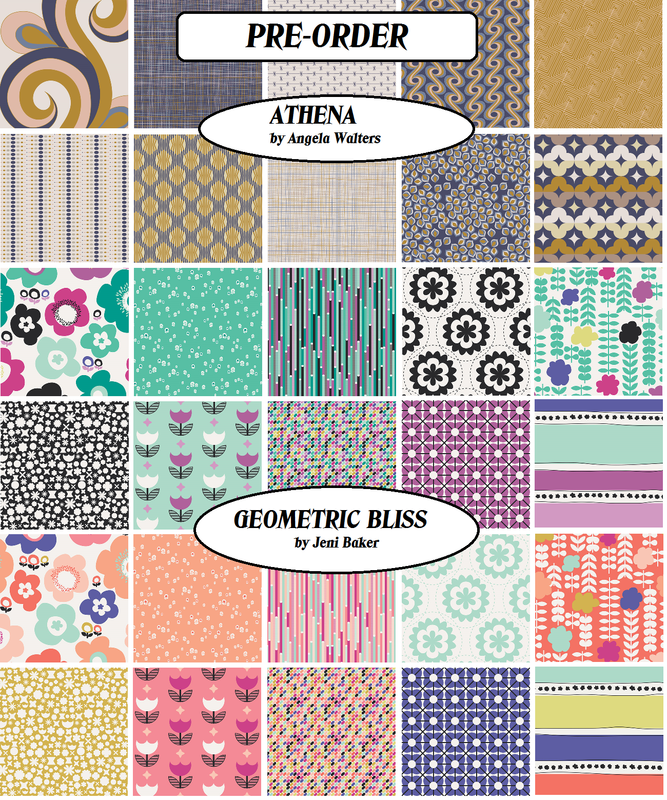 I am super excited to announce more beautiful fabrics are arriving soon from Art Gallery Fabrics: Athena by the amazing Angela Walters and Geometric Bliss by the super talented Jeni Baker. I am taking pre-orders for both of them on my shop's Instagram account. If you would like to pay by credit card I convo me on my Etsy I will setup a reserved listing for you. I will try to have the listing up on Etsy shop by end of this weekend. Stay tuned for a giveaway in October.